The economic turndown forces printers as well as suppliers to reduce costs. Many companies go for pay cuts, partial unemployment or layoffs. For many, even these measures are not sufficient and they are forced to go into bankruptcy. According to estimates of the American Forest & Paper Association newsprint production falls by 30% in 2009 and magazine print by 25%. Folio reports that 596 magazines disappear from the US market. One of the first cost-cutting measures that many companies take is reducing their capital expenditures. Press manufacturers suffer the most from this. According to some estimates over 30% of their deals closed at the 2008 drupa show get canceled. Heidelberg has to apply for a 300 million Euro state loan to survive. A planned merger with Manroland is called off by the latter due to its rival’s poor financial results. Oddly enough some vendors, like KBA, do not seem to suffer that much from the crisis. 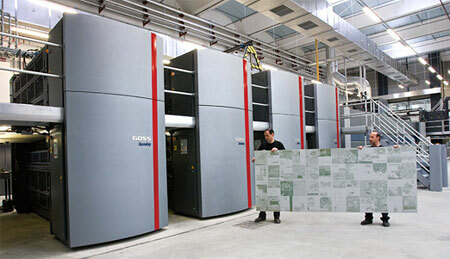 Goss International installs a Goss Sunday 5000, the world’s first 96-page web press. The huge place size also puts extra demands on the prepress workflow and CtP systems that need to process and output such large plates. In March Konica Minolta ceases manufacturing film. Agfa and Southern Lithoplate are among the few remaining suppliers of film to the graphic arts market. Their products are sold under a variety of brand names. Kodak halts Prinergy R&D in Vancouver, Canada to consolidate the global product development for its Unified Workflow in Israel. For a while forums and blogs are full of ‘Prinergy is dead’ discussions. Mimosa (Pantone 14-0848) is the color of the year. Fujifilm starts a small marketing war about the use of the term ‘chemistry-free‘ for CtP plates. Regardless of the correct terminology, such low-chemistry solutions remain a popular choice in a world where one’s carbon footprint becomes more and more important. While not a lot happened in print (and as such in prepress), other publishing solutions do get a lot of attention: 2009 is the break-through year for e-books: Amazon updates its Kindle e-book reader and takes it internationally. They also buy Stanza, the most popular e-reading application for the Apple iPhone and iPod Touch. 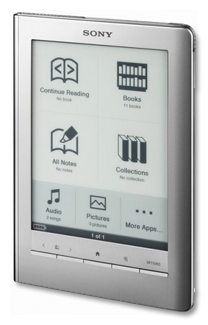 Barnes & Noble gets into the market with the Nook. Existing vendors like Sony, BeBook, JetBook and Astak bring out updated models and drive down prices. EPUB gets established as the dominant open format for e-books. Twitter, a microblogging system to publish short 140-character messages, is probably THE success story of 2009. 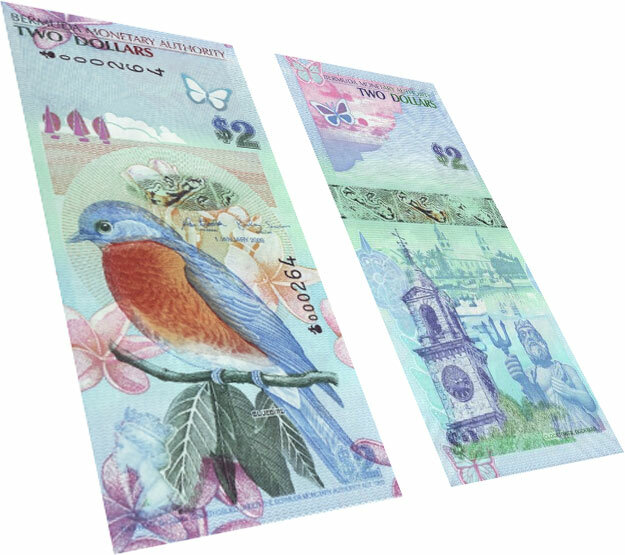 The banknote of the year features the Bermuda Bluebird. Gerard Unger design Neue Swift for Linotype. The deadliest bushfires in Australian history kill 173 and leave 7500 homeless. H1N1, commonly referred to as ‘swine flu’, causes a global panic with remarkably few victims. Ireland holds a second referendum on the EU’s Lisbon Treaty and approves it. The treaty comes into force in December. The Prime Minister of Belgium, Herman Van Rompuy, becomes the first permanent President of the European Council.